From lethargy awake! : Groby Ink? So, I'm still contemplating the professional implications of getting this, inked onto my wrist. 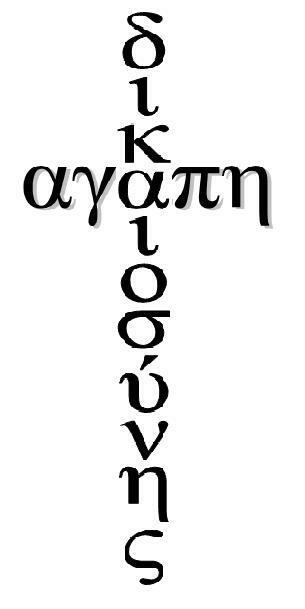 The words mean 'sacrificial love' and 'justice' in greek, although i'm not at all convinced this translation here is right. Roughly..